Celebrations Like Life Are Worth Enjoying To The Fullest! 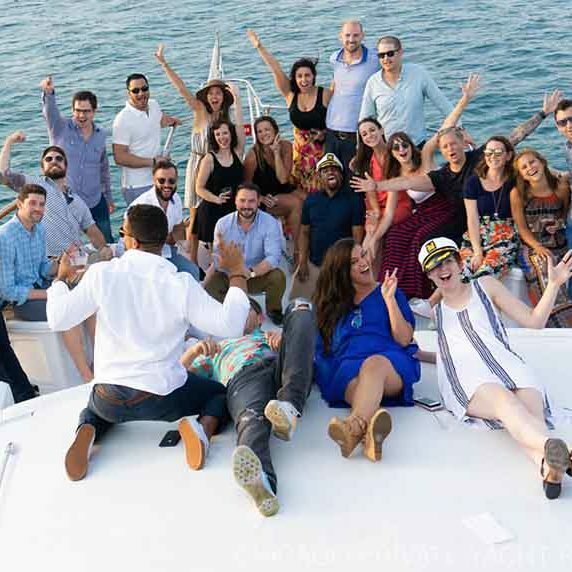 Renting a yacht is a great alternative venue space in Chicago and is fun for all types of occasions! Host your next birthday, private dinner party, bachelorette party or corporate event aboard Adeline’s Sea Moose. We comfortably host up to 45 guests, offer top shelf craft bar packages, custom catering and surround sound both indoors and out! There are two separate decks with breathtaking views of Chicago’s Skyline as well as a bar and lounge that opens up to the elements! During your cruise our fun and attentive Captain and Crew are on board to cater to all your needs. You will not find a better floating event venue of her size! Adventure Awaits: Feeling Lucky? Embrace maritime law and book an Indiana Casino excursion to Horseshoe Hammond, Blue Chip or Four Winds! Moonlit Cruises: Searching for a romantic evening for you and your sweetheart? Moonlit cruises are an exceptional way to express affection. Charm your companion with a private catered dinner cruise for two. Cooking enthusiast? There is even a modern galley with dining area below deck if you’d like to prepare dinner yourself. Architectural Tours: Explore Chicago’s architecture deep within the city on one of our sought after PRIVATE river tours! This is a great way to experience our Windy City’s unique history. We are connected with professional Guides who love sharing historical information about Chicago and its architectural gems. Stay Dockside: Don’t want to leave the pier? No problem! Book your time-slot and stay moored by the dock for the entire time. 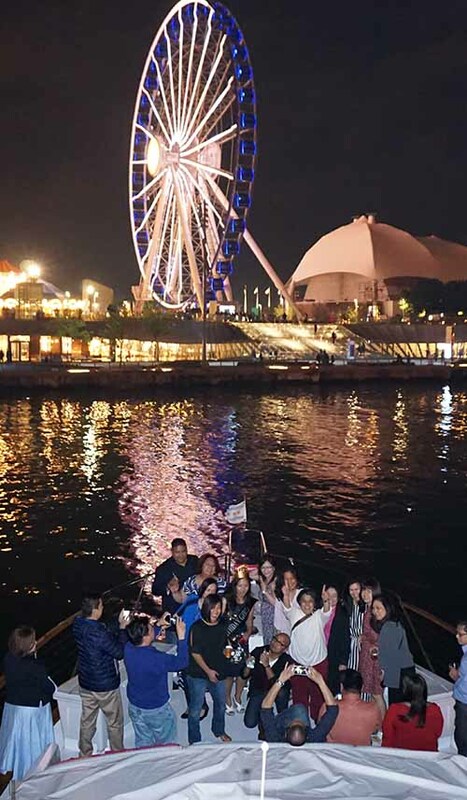 Firework Cruises: Join us out on the water for a private front row showing of Navy Piers Summer Fireworks!